Shiro is set in the beautiful Rodgers mansion of Novi, Michigan. It is a real surprise to find a Japanese restaurant in this grand home that pays homage to Antebellum architecture. 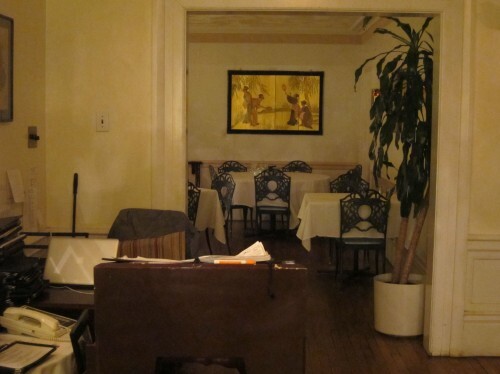 The interiors are adorned with early 20th century decor. 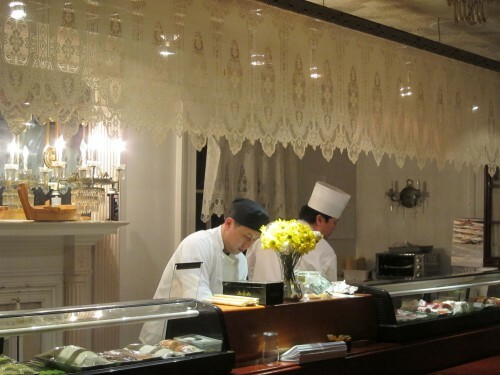 It’s rather quaint to see a sushi bar with large lace valance! The place is very charming and has a lot of character. The wait staff were very friendly and helpful though a bit disorganized. We ordered sashimi which never came and our waiter would sometimes disappear for long spells of time. 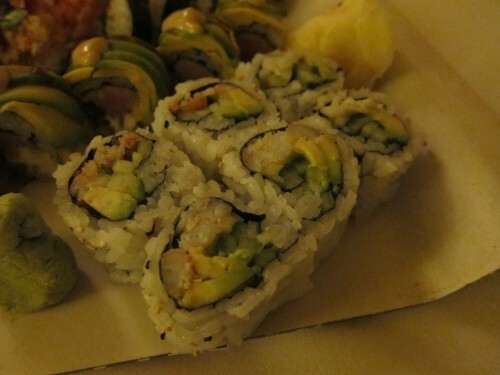 The food was decent (I cant compare it to New York Sushi) but considering where we were – I was pleasantly surprised. We really went there to eat rolls only.The problem I found with the selection of rolls was that a lot of them had some deep fried element in it and I wanted to try more combinations of fish that were not fried or cooked. I thought that a lot of the sauces and dips accompanying the rolls were a little too sweet. 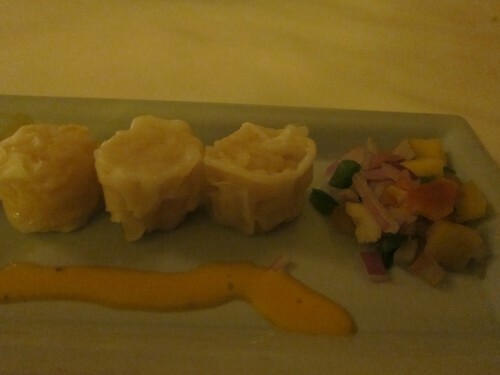 This was pretty standard shumai but was served with honey mustard which was interesting. We tried an appetizer of the shrimp and vegetable tempura. I thought that the batter was a little too thick and the tempura was too crunchy. 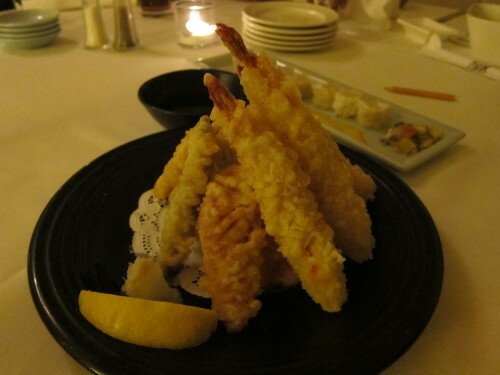 Really good tempura is a very delicate dish, where the shrimp and batter just melt in your mouth. Their Atlantic roll had grilled tuna, scallion , cream cheese and was wrapped with avocado and topped with their house special BBQ sauce. I thought these were the best rolls I tried there. 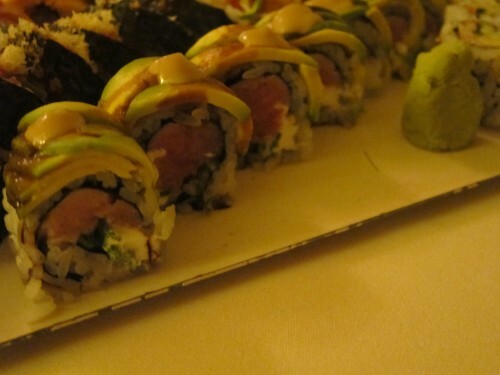 The combination of everything made for a really delicious roll. 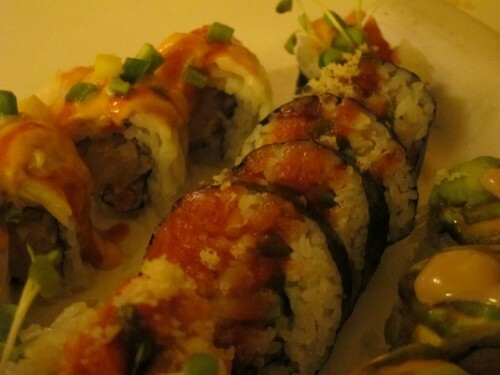 This roll was made of crab meat, spicy tuna, jalapeno, avocado and topped with a hot sauce. 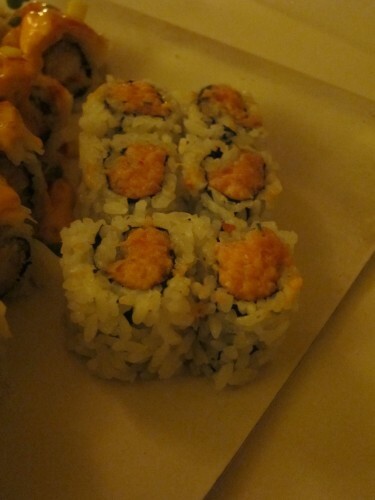 This is one of the rolls that s touted as being spicy but it wasn’t. I thought it was a little too sweet but the combination was good. It could have done with more of a hit of spiciness. 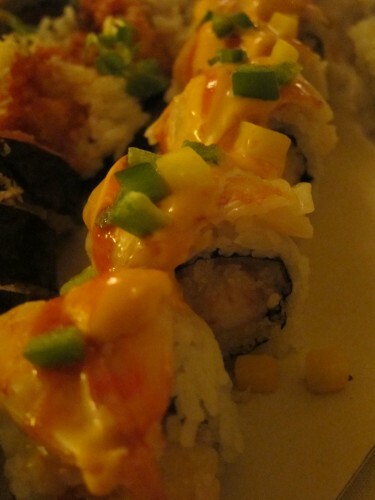 This was a shrimp tempura roll topped with chopped jalapenos, mango and sweet and spicy sauce. For me, this roll was entirely too sweet though the extra crunchiness of the shrimp tempura worked well in this roll. I thought their California roll was really badly made. The rice was terribly uneven and it was just not appetizing to look at or eat. Their spicy tuna roll was sublty spiced and tasty.